December 31, 2009  The business world has been rocked by one scandal after another in the past decade. From Martha Stewart to Bernie Ebbers and Bernie Madoff, it's been a confusing and angry time for investors. The era also saw a 777-point one-day plunge in the Dow and some 7 million job losses. December 29, 2009  Some 140 banks have failed so far this year. That's more than in any year since 1992. The FDIC, which insures bank deposits, is planning for more failures next year. Georgia had more bank failures than any other state — 25 in all. December 25, 2009  Many homeowners who are tens thousands of dollars underwater on their mortgages — meaning they owe more than the value of their homes — have decided it's just not worth it. Some, like Heather Baker, can even afford their payments, but they're walking away anyway. 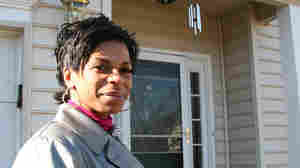 December 22, 2009  More creditworthy borrowers are falling behind on their mortgages. It's a sign of growing trouble in the housing market. A report from two federal agencies finds the number of delinquent prime mortgages has more than doubled from a year ago. Prime mortgages are loans given to borrowers considered the least risky. December 14, 2009  Spending online this holiday season is expected to break records. Although shopping on the Internet has become more convenient, it can still be tough to determine which businesses to trust. A new Web tool from the Better Business Bureau is designed to help. December 8, 2009  More people than ever will buy their holiday presents this season with debit cards. But people are using debit and credit cards for much more than just gift purchases. Even Salvation Army bell ringers are accepting plastic this year. December 7, 2009  When a government advisory panel last month suggested that women get mammograms less frequently, the reaction was fast and furious. Some people thought it must have been designed to cut costs. The scientists who made the recommendations insist money had nothing to do with their calculations. The question remains, however, would performing fewer mammograms save money? December 4, 2009  The unemployment rate fell to 10 percent in November as employers cut the smallest number of jobs since the recession began. The Labor Department says the economy shed 11,000 jobs last month, an improvement from October's revised total of 111,000. December 4, 2009  The Labor Department says unemployment fell to 10 percent in November as employers cut the smallest number of jobs since the recession began. The figures show the economy lost 11,000 jobs last month which is an improvement over what economists had been expecting. December 2, 2009  A congressional committee hears testimony Wednesday on how well the Federal Housing Administration is doing. Defaults on FHA government-backed mortgages have been rising. The FHA has cracked down on one lender responsible for more than a thousand defaulted loans. November 27, 2009  This year retailers did their best to lure consumers to open their wallets with lots of early-morning specials. But while the economy has shown some signs of an improvement, analysts say the high rate of unemployment is weighing on people's willingness to spend. 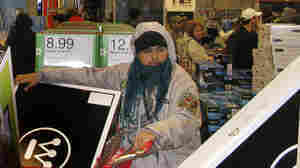 November 27, 2009  The nation's biggest retailers began gearing up for the busy post-Thanksgiving shopping day months ago. The Conference Board predicts U.S. households will spend about 7 percent less on gifts this season than last year. At a Target store in Maryland, some shoppers were up early looking for specific items. November 24, 2009  As millions of Americans plan for long drives to Thanksgiving dinner, many will use GPS devices to guide the way. But analysts say GPS-enabled cell phones, now with bigger screens and better speakers, are going to cut into the sales of stand-alone devices. November 24, 2009  Since Google announced their new, free navigation service, the stocks of Garmin and TomTom has dipped. To find out if they have something to worry about, we put Google Nav to the test. Does Long-Term Research Stimulate The Economy? November 11, 2009  The federal stimulus put people to work building roads and bridges, but it also allocated about $18 billion for research that could lead to important discoveries. But some analysts don't see a quick payoff from the longer-term projects.